After reading this quote from the legendary author of The Raven, we had to wonder if the gothic novelist knew our man, Freddy Krueger. 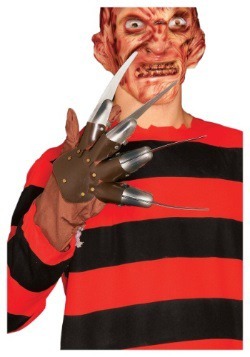 While getting chased by a monster is terrifying, the idea of having to go without sleep is scarier than anything. After all, sleep is inevitable. No matter what you do to fight it, eventually it'll be waiting right around the corner, ready to take you under. 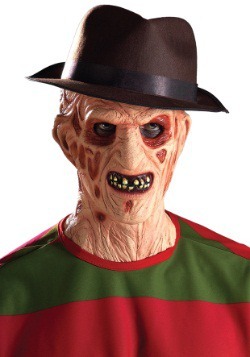 Victims of Freddy have tried to fight off the advances of slumber in all sorts of creative ways. Music, television, even inflicting pain on yourself simply won't work. Know what will work? You know what they say if; you can't fight them, join them! 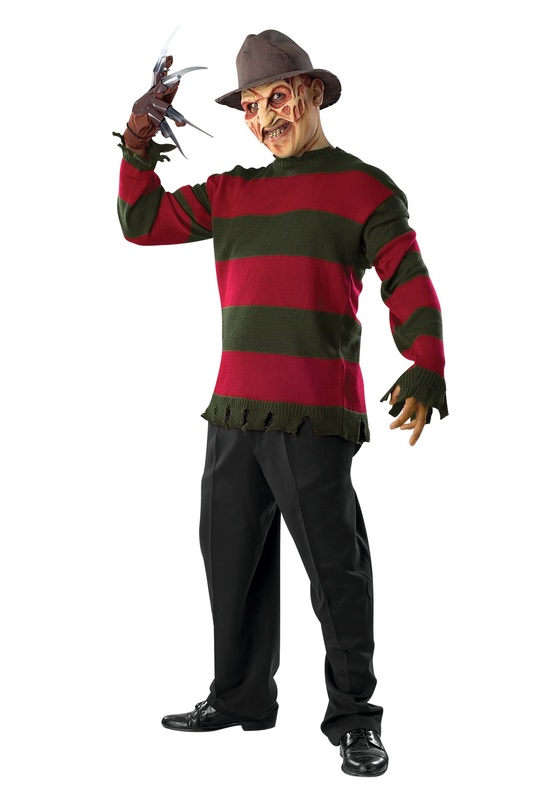 Instead of fighting sleep you could either make a deal with some Dream Demons or dress up like Freddy, himself. 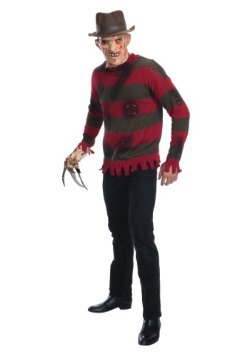 In this ensemble, you're sure to feel nightmarish, in the best way. 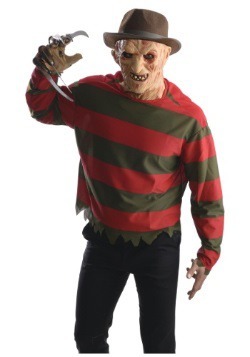 It includes a mask that covers the entire head with a slit down the back with small eye openings so that you can see your victims. 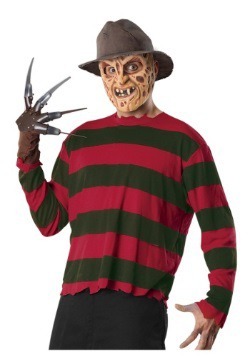 You'll also get a striped pullover sweater with a raggedy hem along the hemline. 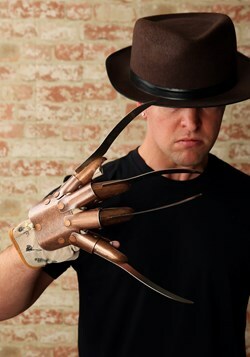 Finish the costume off with the sharp looking glove and classic fedora and you'll beg to go. Go ahead, make an impact on Halloween parties this year. And if you really want to make things interesting, try taking a nap first. 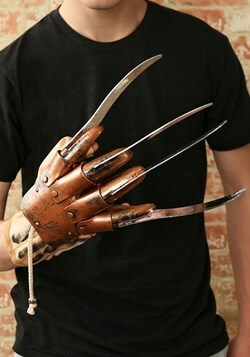 If you run into Freddy, he's going to be impressed!